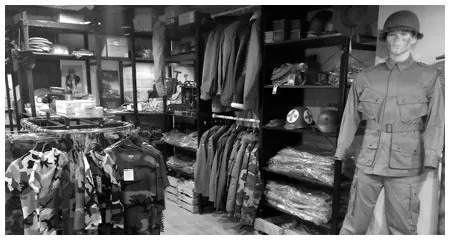 Welcome to our Militaria section. You can find a selection of military souvenirs, t-shirts, key chains, mugs, caps, books and military surpluses from different armies, as well as our range of building block toys by Sluban, 100% compatible with LEGO. 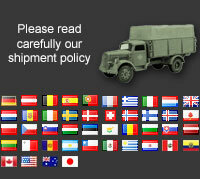 Our products are designed for collectors and army enthusiasts, ideal for birthday and Christmas gifts. We also have military paintings of Fosco Industries, the largest range of paint sprayers for vehicles, helmets, weapons or other tools. Available in 400ml (Spray) and 1L cans. If there is an article that you can not find on our website, contact us, we can buy other items that do not appear in the catalog. We stock a wide range of Military themed t-shirts 100% cotton, lightweight and comfortable to wear. We stock a wide range of Military themed baseball caps 100% cotton, lightweight and comfortable to wear. Coffee mugs, beer mugs, moneyboxes and other personalized items, Normandy anniversary merchandising.